With the ever-growing rise in trading with cryptocurrency, individuals and businesses have resorted in a myriad of ways to stay abreast with the latest trends. Whether you are an avid cryptocurrency investor, or if you are considering investing and want to stay in the loop, learn and understand how it all works, the following ways will ensure that you are well informed on the latest happenings in the world of cryptocurrency. Subscribing to e-Newsletter is one primary way of obtaining relevant information about the markets. An e-newsletter from crypto-sites gives you an up-to-date on the recent happenings ensures that you are always on the forefront of your daily or weekly digest. Different cryptocurrency websites are kept active by disseminating information so as to keep subscribers active on the latest relevant informational updates. Also by subscribing to an e-newsletter from cryptocurrency sites, you stand a high chance of receiving information on first-class upcoming cryptocurrency events and on the latest features rocking the industry. In every industry, there are ‘top dogs’ who not only know the technicalities but also have the latest updates. The chances of you getting abreast with the latest trends in cryptocurrency are very high because of the extensive use of social media. Following Cryptocurrency agencies on social media can well do the magic. Not only do they give you update on their personal information but they share links from industry experts and other social media pages, helping you to collect and build a stronger network of cryptocurrency information. Also, other social media sites such as Twitter offers the opportunity to create your own list of information sites for getting daily updates. This helps you manage your interest and stay informed in your desired headlines stories. For individuals who find it difficult to be informed or stay online due to other work commitments, it may be advisable to join a crypto network or community. When introduced into cryptocurrency via this method, you are not only likely to have swifter access to latest trends, but also gain valuable knowledge on the best trading practices from crypto pros in a one-on-one setting. This means that private individuals and business groups at any stage of developing their crypto-investments can have unlimited access to expert information. Conducting research by reading periodic reviews on crypto websites is a great way to know the level of information disseminated that can help you stay up to date on the latest trend. Reviews are one effective way of knowing the best online websites to subscribe for an update. Careful analysis of ratings and comments from already existing review banks not only gives you information but will also expose how relevant their information is to other visitors. Earlier, we discussed joining a crypto community. How about creating your own? Building an online community can be very helpful with the help different social media platforms; this allows a wider coverage from a different location. While this might be little technical for a few individuals, it remains one best way of staying up-to-date to Cryptocurrency. When creating Crypto-community groups on social media, individuals with similar interest should be the backbone on which such community is built upon. It allows for the easy dissemination of crypto news and helps tackle issues pertaining to your investments. Regular discussions should be created during times of community growth and expansion, for this propels community outreach and allows for more extensive information dissemination. Staying up to date with industry updates has been made possible and easier both through online and offline means. Because of its portability on demand, the spread of podcasting as an alternative source is on the increase. Podcasts are digital audio files that can be downloaded and played for future reference. For individuals finding it difficult to stay online 24 hours reading news, podcasting is one way of getting high news content and information. 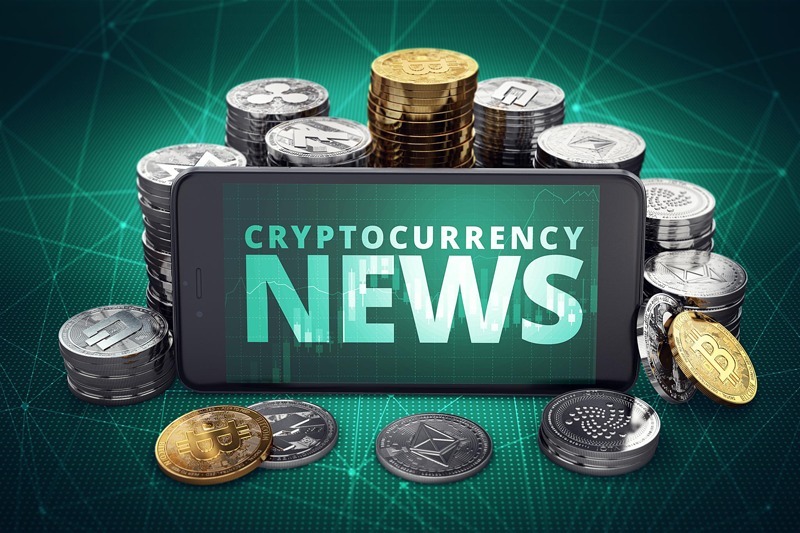 Cryptocurrency news on podcasting is always available in various newsfeeds or distributed by the producer or the podcaster. When one talks of getting new updates on any niche, Google Alerts must also be mentioned. The use of Google Alerts allows easy customization of updates from any niche of your choice. They are extensively built to allow up to 1,000 topics per mail giving you a wider topic range and flexibility. Activating Google Alerts also gives you the news choice you wish to receive alerts from and you can easily narrow the search to form a specific search topic of cryptocurrency topics like e.g “blockchain technology in cryptocurrency in recent times” or having a wider search volume like typing just “blockchain”. Google alerts not only supplies you with the latest cryptocurrency industry trends but also acts as an avenue to find sources for the post in blogs. The use of the Google News aggregator is another straightforward way of staying well informed in the cryptocurrency industry. Aggregators group stories in similar interests from a wide range of sources before emailing them to you. Just like Google Alerts, they also place news according to the interest selected and be downloaded as a mobile app, which makes it easier to stay updated with relevant topics in the cryptocurrency niche. Most cryptocurrency mentors are experienced and trusted advisers who can take you by the hand and lead through all the areas of the world of cryptocurrency. Topics such as what are the best cryptocurrencies to invest in, and how long should I hold on to my investments will all within easy reach. Because of their level of experience, they are one of the best sources of information and all relevant updates. Although this next method might be time-consuming, it goes without saying that the best way to unravel information on any subject area is to do extensive research on areas of interest. Day-by-day, millions of online sources create valuable, well-researched work, not only to build the reputation of cryptocurrency to visitors but also to offer expert guidance to ensure your investments stay safe. Developing on your researching skills can help you on getting relevant information on cryptocurrency.